UPPER EAST SIDE — An Upper East Side school's new name suggests it's nurturing an army of kindergartner revolutionaries, a member of the local community board has complained. Michele Birnbaum thinks calling P.S. 527 the East Side School for Social Action makes it sound like a junior indoctrination camp with a radical agenda. It's "inappropriate" and "disturbing," Birnbaum told Community Board 8's youth and education committee meeting earlier this week — though her direct action against the name was done by letter as she was unable to attend. Birnbaum said she had been seeking answers about the school’s name ever since learning about it. She was told that it came from the school's charter, which is based on the spirit of community service. 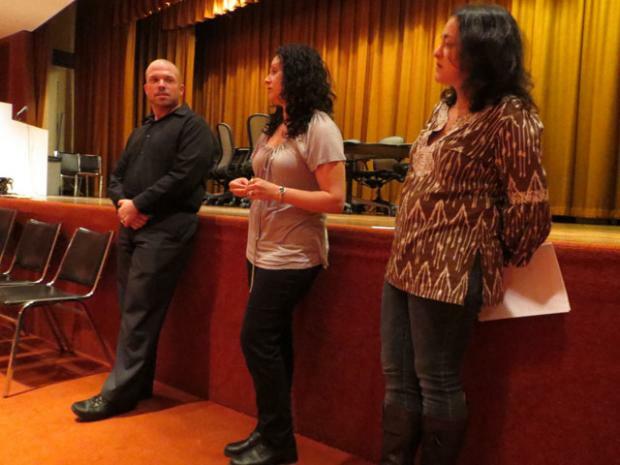 "Every school does community service," she told DNAinfo.com New York. "Why does this school need such an activist-sounding name? She said her one-woman campaign for change had support from others, though nobody's stepped forward publicly. The East Side School for Social Action, led by Principal Daniel McCormick, launched its inaugural kindergarten class in September in the former Our Lady of Good Counsel Catholic school building at 323 E. 91st St. to ease overcrowding in the area. McCormick explained at the CB8 meeting that he didn't come up with the name on his own. "There really is no principal that has the sole input," he said. When the DOE started planning the school, he and organizers wanted to pick a simple and neighborhood-centric name such as Yorkville Elementary, but that was too similar to P.S. 151's name, the Yorkville Community School, McCormick explained. The DOE then asked him what the focus of the school would be? "I said we're doing social action projects," he said. So the department suggested "East Side School for Social Action." "I thought it was a great idea," McCormick said. A leader of the school's fledgling Parent Teacher Association defended the school’s name, saying it made the children more insightful. "We come from the Upper East Side, which has the cachet of the haves," Miriam Quart, co-PTA president, said at the meeting. "The social piece of it is very important, for the kids to know about the have nots."